I considered titling this post: Jersey City represent! Nepal Tea LLC is based in Jersey City, NJ. While I've never lived in JC, I am a Jersey girl. The company brings to the market, Nepal's "first certified organic orthodox tea". The teas are from Kanchanjangha Tea Estate and Research Center in eastern Nepal bordering Darjeeling. Teas are grown in the foothills of Mt. Kanchenjunga. Kanchanjangha Tea Estate was founded by Mr. Deepak Banskota in 1984 but his son Nishchal Banskota transformed it into the social venture, Nepal Tea LLC, in 2016. You can read more about the company's evolution here. 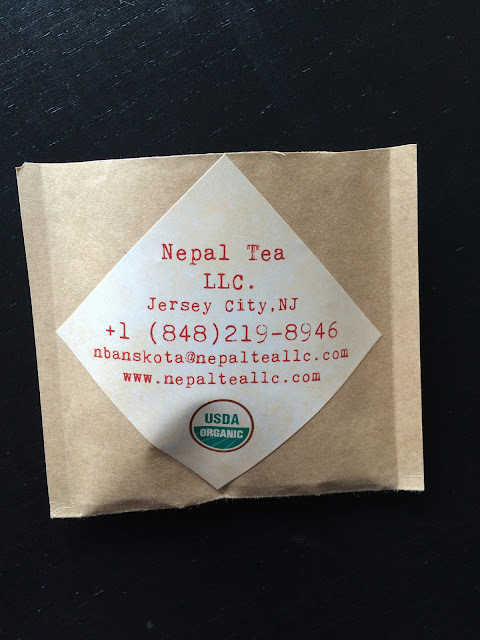 Also, the Nepal Tea Kickstarter campaign, to expand their social projects and to build a tea warehouse in Jersey City, surpassed its original goal. The teas provided to me by Nepal Tea will be reviewed in two parts. Today's teas are Prakash White, Kumari Gold, Kanchanjangha Verde, and Kanchanjangha Noir. 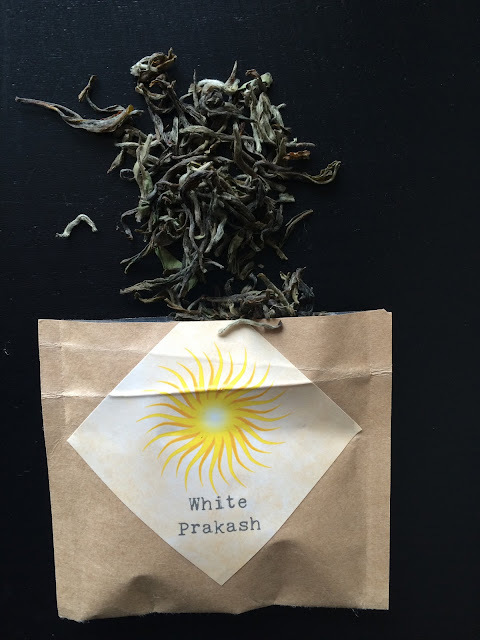 This white tea is described as light bodied with "strong vanilla top-notes, bring blossoms and melted butter flavors". I read the official tasting notes after drinking the teas. Prakash White reminds me of a Bai Mu Dan. It is lush with notes of honey, summer meadow, and hay. I infused 2 grams in 8 ounces of 185F water for 4 minutes. The temperature I used was hotter than the recommended 175-180F with a 1-1.5 minute cool down period. 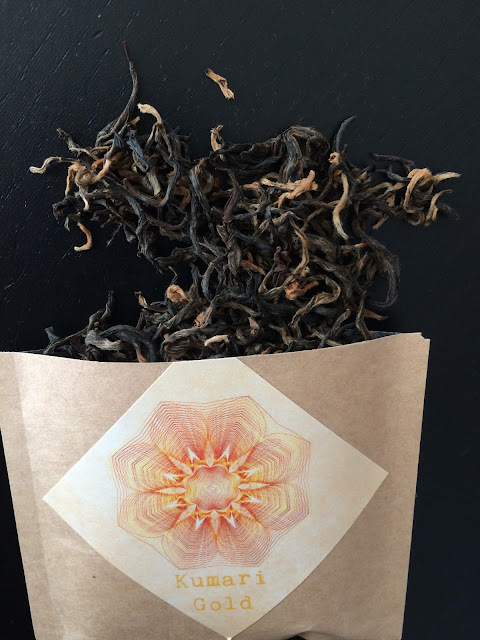 The first thing I noticed about this tea was the abundance of buds -- look at all those golden tips!. The liquor of Kumari Gold was a deep gold and smelled of baking. The liquor did not have a thick mouthfeel but it was flavorful with sweet, fruity (like warm grape skins), and baked notes. As the tea cooled, a pleasant astringency emerged. Separate from this drying effect, the cooled liquor reminded me of Oriental Beauty. I infused 2 grams in 8 ounces of less than 212F for 4 minutes. The temperature recommendation is 206 but I think this tea would do well steeped in 195F water. I was excited to try both this and the Kanchanjangha Noir as they are named for the mountain where the tea farm is located. 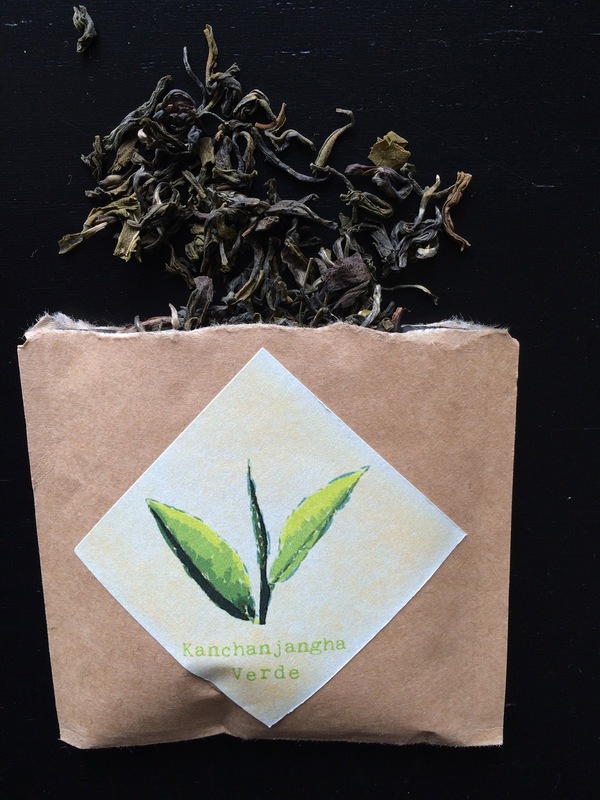 The dry leaves of Kanchanjangha Verde smell like nuts and savory vegetables. The leaves are colored shades of green with some stems present. Infusing 2 grams in 8 ounces of 160F water for 2 minutes yield a pale green yellow liquor that smelled of honey. The tea's taste was consistent with the smell of the dry leaves - vegetal, nutty with a honey finish, and a noticeable mouthfeel. The liquor of the Kanchanjangha Noir was shiny amber and smelled like chocolate ganache. It tasted like chocolate, brioche, and dark fruit which was the fragrances of the dry leaves. I infused 2 grams in 8 ounces of 200F water for 4 minutes. I would suggest a slightly longer steep time and less water for this tea. These two changes would improve the mouthfeel but would leave intact its smoothness. For all the teas, I would suggest that the steeping directions be printed on the pouches, even the sample packs. I fancy the Kanchanjangha Noir. I have enough left of it and the other teas for an additional session. I will definitely finish the samples. I have four more teas to try to stay tuned for part two. All teas reviewed in this post were provided by Nepal Tea LLC. Nice reviews! I tasted the Kumari Gold this week too! 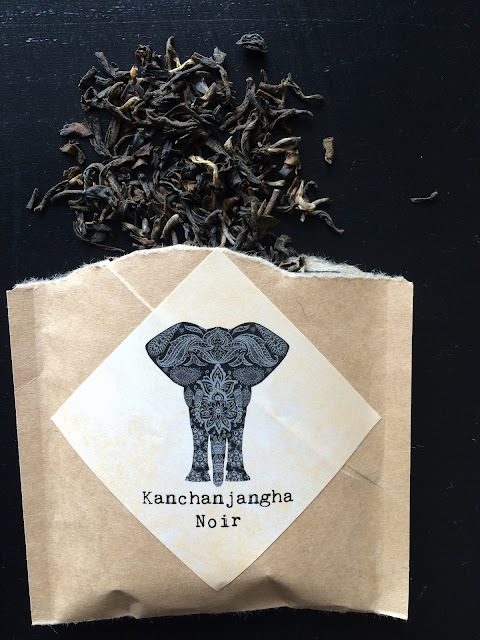 I liked it, but it was a bit light for me, I like a punchier black tea so that Kanchanjangha Noir sounds like the one I need to try next! My expectation of a black tea is bold and full flavored, too. I can appreciate subtlety in other types of tea. And I look forward to reading what you think. WANT FRESH NOTES ON TEA? Copyright (c) 2004-2017 Notes on Tea. Powered by Blogger.